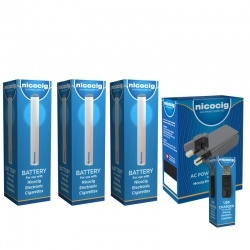 The Nicocig Refill Cartridges Medium Strength Tobacco Cartomisers are compatible with new Nicocig Rechargeable Electronic Cigarettes, allowing for easy refilling of your device when your original cartridge has run out. 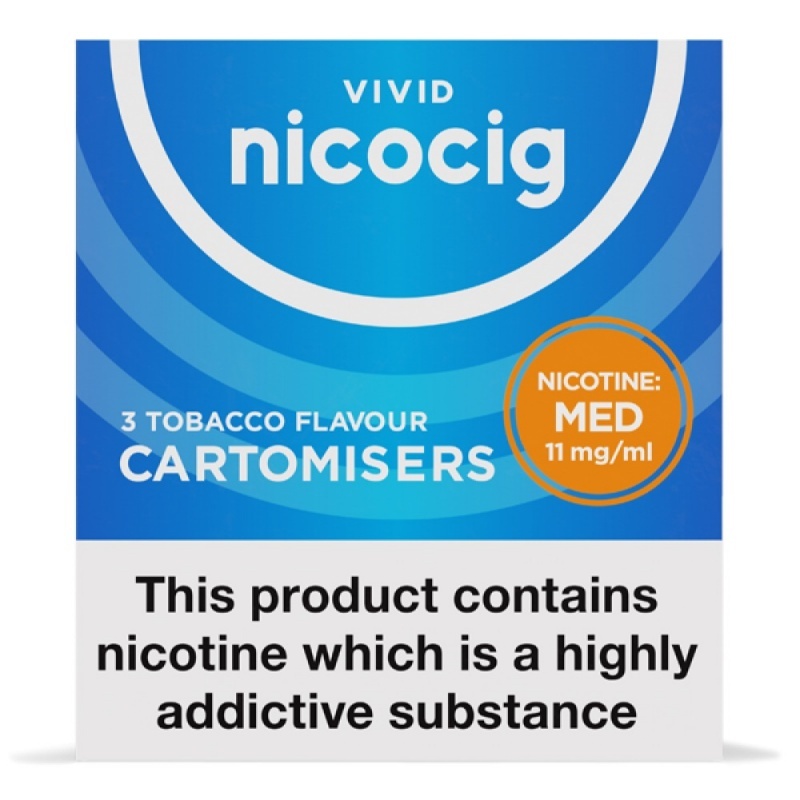 Available in combo packs with the option of buying multiple boxes at once, these cartomisers make a great choice for any Nicocig vaper who requires regular refills. 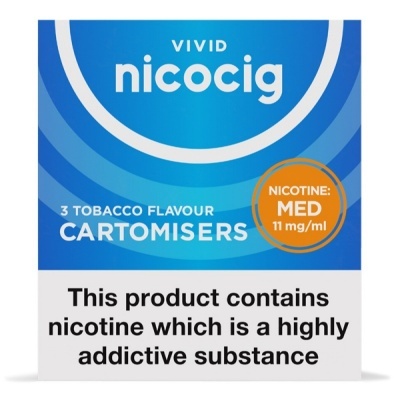 These particular Nicocig Refill Cartomisers have a medium nicotine strength of 11mg and are tobacco flavoured for a classic vaping experience. 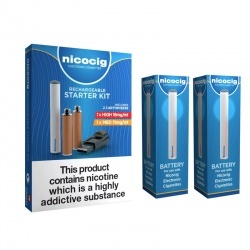 Every box of Nicocig Tobacco Cartridges contains three cartomisers, and if you buy 20 or 30 boxes you'll receive a free Nicocig electronic cigarette battery, or a free cartridge. Buy 40 boxes, and we'll send you two batteries or two additional cartridges for free! This product falls under the medium strength category of 11mg. More socially acceptable - no unpleasant smoke odour or "smokers' breath" and no smoky residue accumulating on walls, furnishings, hair or skin. More aesthetically appealing - no stained fingers and teeth as associated with heavy smokers. Money saving - electronic cigarettes can be as much as 75% cheaper than buying regular cigarettes. 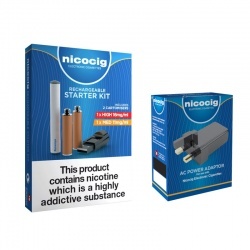 Once you acquire a Nicocig starter kit, you only need to buy affordable replacement nicotine “cartomisers,” also known as cartridges or refills. A single cartomiser is equivalent to about 20 conventional tobacco cigarettes but costs much less. No tobacco - among the 4000 known harmful chemicals, toxins and substances contained in tobacco smoke, at least 25 are carcinogenic (cancer-causing). The tar in tobacco smoke accumulates in the lungs as a sticky, brownish-yellow deposit that is a leading cause debilitating pulmonary diseases like emphysema. Electronic cigarettes do not contain tobacco.